Putauhinu Island is a 141 ha muttonbird island south-west of Stewart Island. The muttonbirders on Putauhinu have worked closely with the Department of Conservation (and its predecessor the New Zealand Wildlife Service) to restore the island’s ecology, including eradicating Pacific rats in 1995, and translocating and releasing South Island saddlebacks in 1974 & 1976, Codfish Island fernbirds in 1997, and Stewart Island robins in 1999. Te Papa’s Curator of Terrestrial Vertebrates Dr Colin Miskelly was part of a team that translocated Snares Island snipe to Putauhinu in 2005. The muttonbirders invited him back in March 2011 to see how the birds were doing; Colin here provides a progress report on the survey. Muttonbird islands from the north. Taukihepa (Big South Cape Island) on the left, Putauhinu Island on the right, Kaimohu in the foreground. The translocation of 30 Snares Island snipe Coenocorypha huegeli to Putauhinu in 2005 was the first deliberate attempt to replace an extinct New Zealand bird with its nearest living relative. The South Island snipe C. iredalei became extinct in 1964 when ship rats invaded its last stronghold on Taukihepa (Big South Cape Island), about 1 km from Putauhinu. 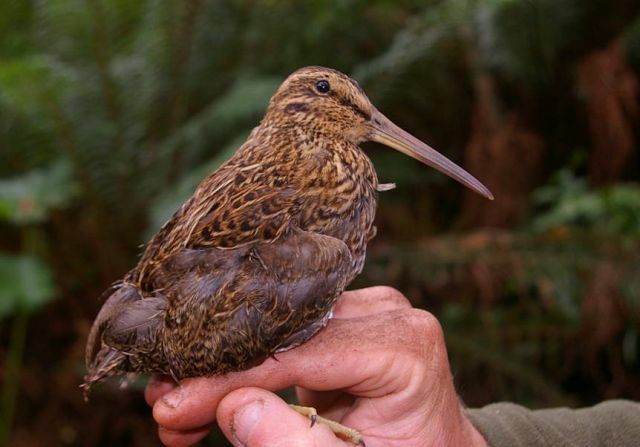 The 2005 translocation was the first attempt to bring snipe back to the Stewart Island region. 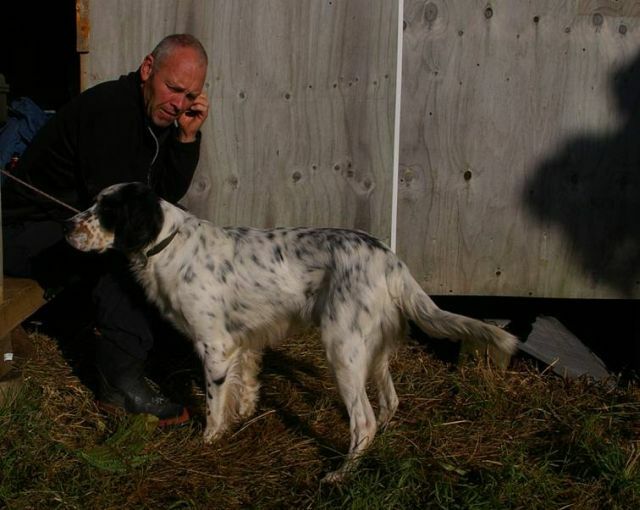 The 2011 survey was a chance to team up with James Fraser and his bird dog Percy again, following our search for Campbell Island snipe in 2006 (see New Zealand Geographic July 2006, pp 104-112). Snipe are small ground birds that live among dense, low vegetation, and using a trained dog greatly increases encounter and capture rates. We were on the island 22-29 March, travelling by helicopter, and staying with the muttonbirders, who were preparing for the 2011 titi (muttonbird = fully-grown chicks of sooty shearwaters) harvest that started on 1 April. Snipe were abundant on Putauhinu. We saw over 80 individuals, and caught and blood-sampled 53 of them. As all 30 birds released in 2005 had been genotyped for both mitochondrial DNA and nuclear DNA (using microsatellites), we had a rare opportunity to assess the effect of the translocation on the genetic structure of the new population. This information should guide decision making on whether any further snipe translocations could use the secondary population (Putauhinu) as a source versus returning to the original population on the Snares Islands Nature Reserve 110 km to the south-west. 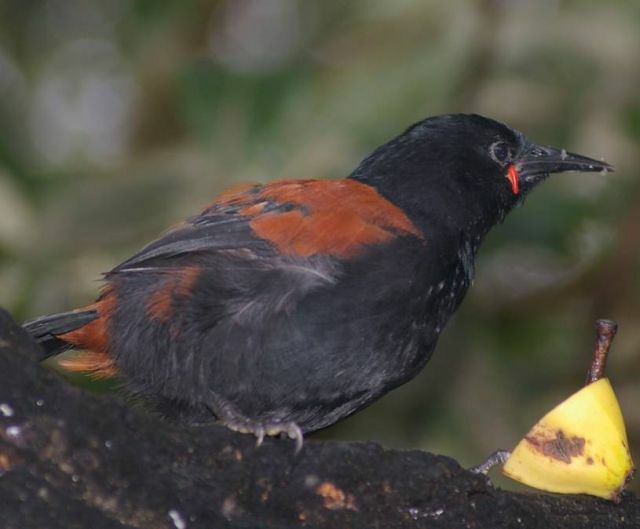 Adult South Island saddleback on Putauhinu Island. The survey relied greatly on Percy’s fine nose, and James’s expert handling. 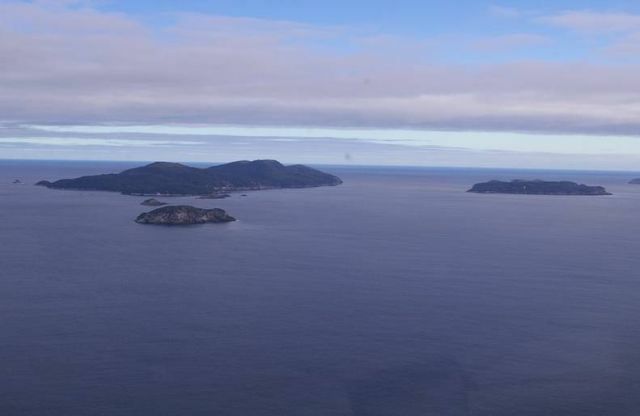 We are grateful to the Putauhinu muttonbirders (and especially the Davis, Lee, Spencer, Pennicott and Fisher whanau) and the Rakiura Titi Island Administering Body for inviting us to their island, hosting us, and the interest that they showed in the survey. One of my primary teachers many moons ago now, managed to instill in me a great love for New Zealand bird life. She was bent on helping to save the kakapo and made it her mission to teach as many children as she could about the modern tragedies of extinction that have plagued our avian populations. So to read something like this gives me the warm fuzzy feelings knowing that people are not only trying but are making a difference in the stemming the tides, to preserve the beautiful and unique bird life that we are so blessed to have in our land.